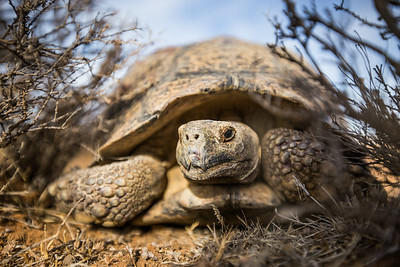 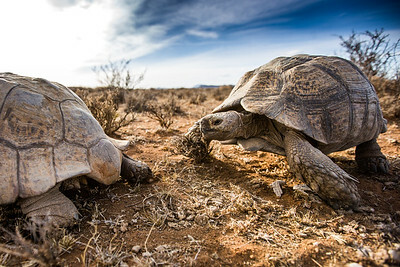 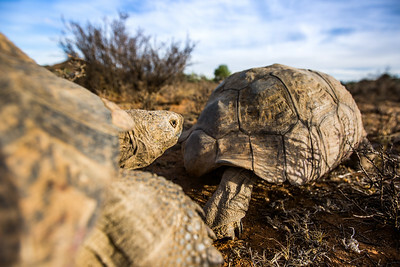 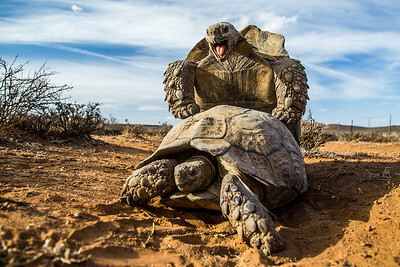 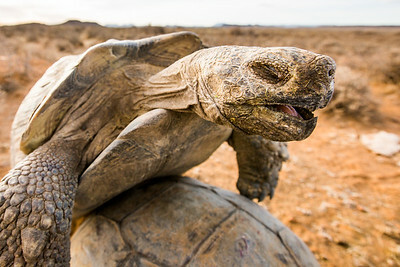 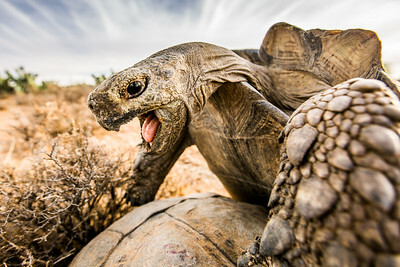 Leopard Tortoises (Stigmochelys pardalis) mating, in the Karoo, South Africa. 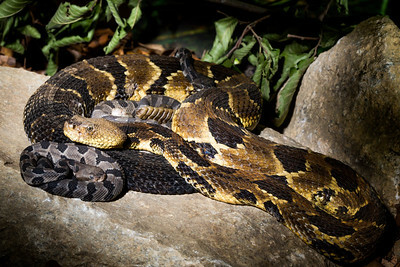 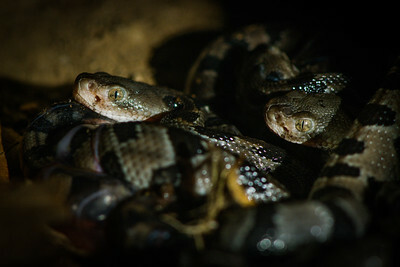 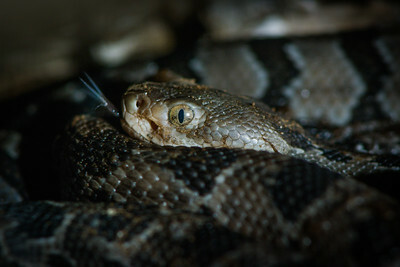 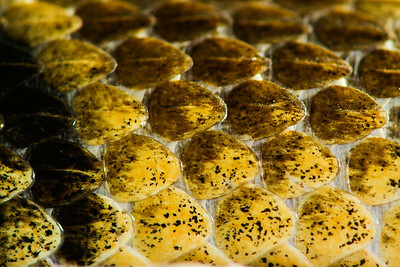 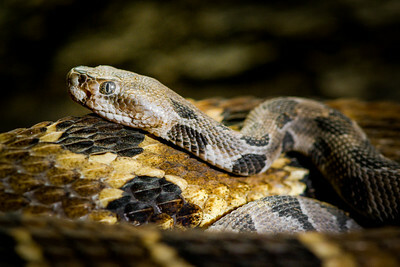 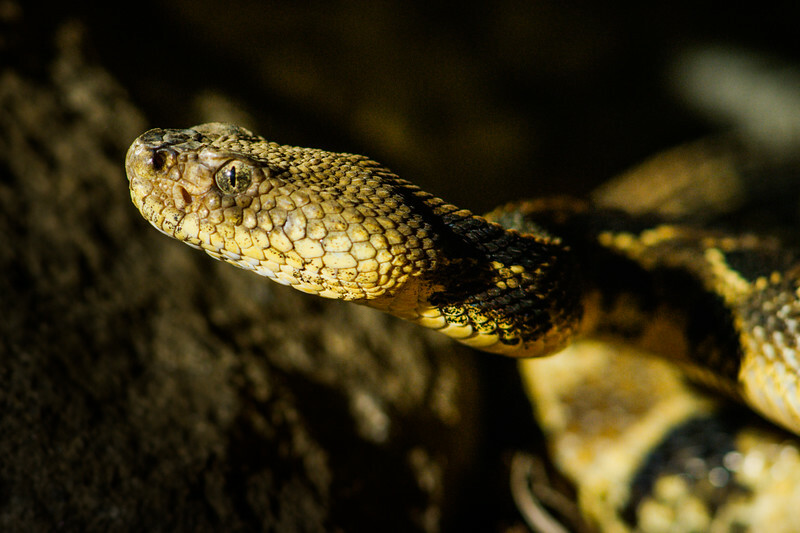 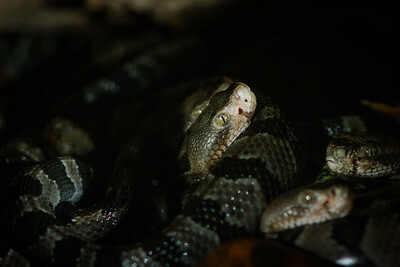 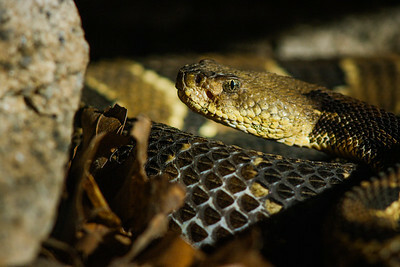 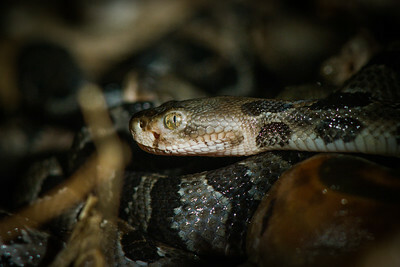 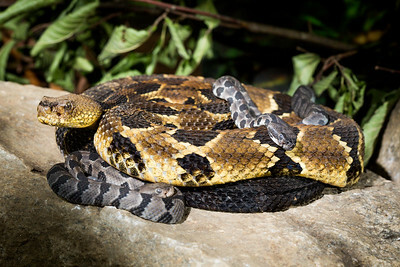 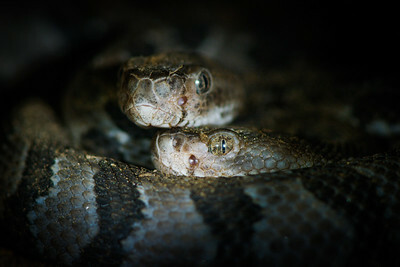 Timber Rattlesnake - with two day old babies (Crotalus horridus). 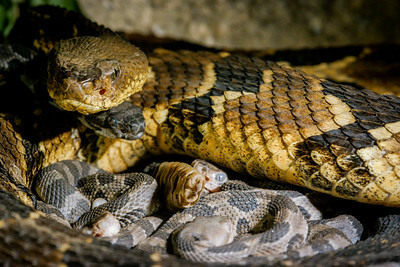 Showing parental care. 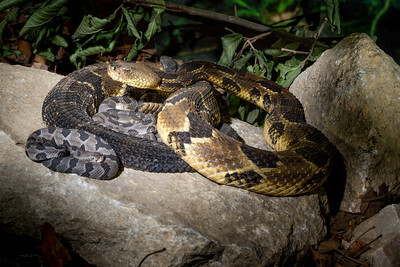 Rhode Island, USA. 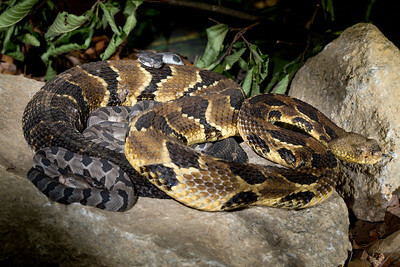 Photographed as part of a captive breeding and release programme, Roger Williams Park Zoo, RI.